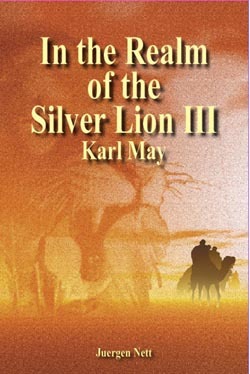 The first half of In the Realm of the Silver Lion I describes Old Shatterhand’s adventures meant to follow the events described in Winnetou III. After his best friend’s death, our hero is so deeply depressed and unkempt that initially he isn’t even recognized as Old Shatterhand by The Two Snuffles, two Men of the West he meets along his way to the Apache tribe. 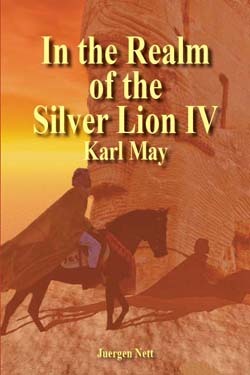 Together they meet the mysterious Persian nobleman Jafar and repeatedly rescue him from the clutches of hostile Comanche Indians. 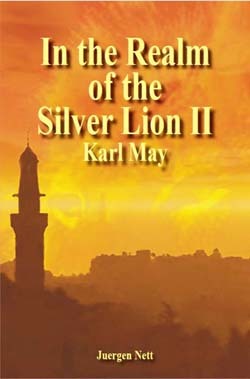 The adventure continues several years later in Persia where Old Shatterhand’s Oriental alter ego Kara Ben Nemsi undertakes multiple journeys with his friend Hajji Halef Omar. Together they slay the Lion of Blood Vengeance, cross paths with an arcane cult called ‘The Shadows’, and reconnect with an old friend of theirs, the Polish expatriat Dozorca, who tells them the heart-wrenching story of how he lost his family. 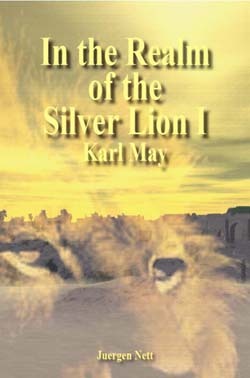 Kara Ben Nemsi gives him new hope, but will he and Halef be able to help him find his loved ones again?